There can be no successful revelation of a reader’s mind merging with that of the author without a strong narrative voice. Without a proper voice, characters fall to one dimensional shades and plot unravels like yarn balls on the floor of the reader’s imagination. How does one begin to tell a story? To write a novel? Some might argue that characters are required first. Others claim plot as the prerequisite to the start of a narrative. Voice, an original voice, however, is likely to precede any act of storytelling. Without the author’s distinct voice, relaxed and in command of the story and language, there can be no invention. 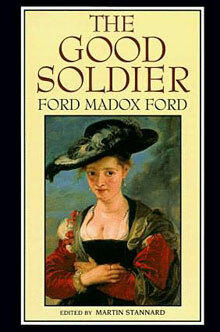 Ford Madox Ford, however, not only helped to bring attention to and shape great writers (e.g., H.G. Wells, Henry James, Joseph Conrad, D.H. Lawrence, Hemingway, Fitzgerald) he also helped to modernize the novel (a full seven years before James Joyce’s Ulysses) by using his unique voice as a writer to craft a novel that, unlike its predecessors, did not tell a story in linear fashion. 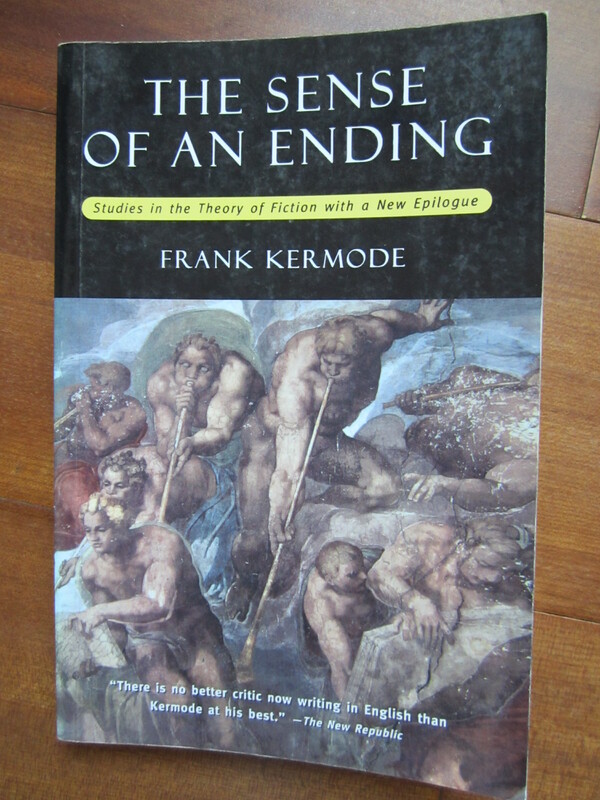 Ford was concerned with “the affair” of the story; he believed, according to Frank Kermode, the “narrative must be shaped, constructed, with some larger purpose in mind than the simple and plausible setting forth, one after the other, of the events that constitute it” (xviii). 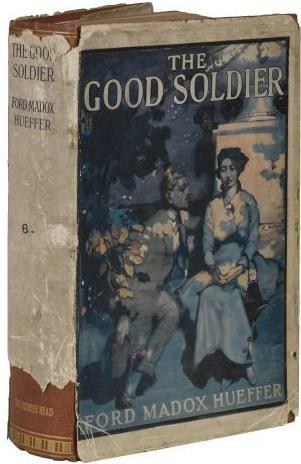 In Ford’s The Good Soldier the modern novel was established through an original voice relating characters, events, ideas by an unorthodox approach in storytelling. An original voice stays with the reader long after the book is closed. The author’s voice, the narrator’s relating of events, is what maintains the special bond between reader and writer. Many critics call this connection the “fictive dream” or the “narrative dream,” but both are really the same. But how does one achieve this dream state in the reader? According to William Strunk Jr. and E.B. 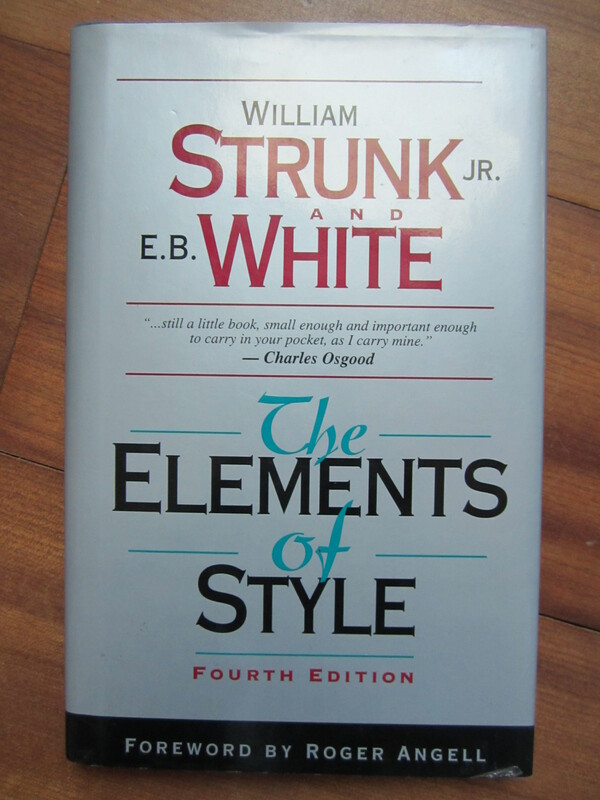 White in The Elements of Style, “the question of ear is vital” and a good writer must keep a “tight reign on his material, and by staying out of the act” (77, 74). Novice writers often project themselves into their work by either having a bad ear, not knowing when to leave or cut a particular section or sentence of their writing, or by becoming too loose with their material. 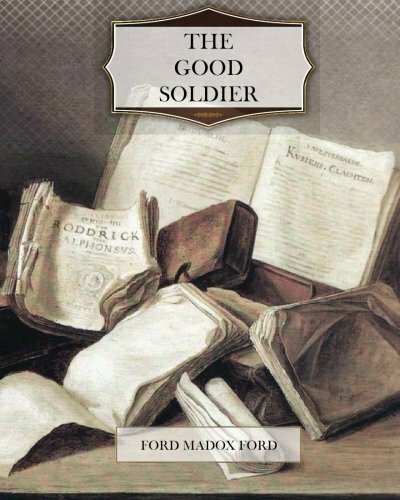 In The Good Soldier, Ford is a master of maintaining control of his story while remaining invisible, allowing the narration to do its work. John Dowell, the narrator of the novel, moves in and out of events, both past and present, with a seamless telling of a personal history that keeps the reader focused and enchanted, difficult tasks for any writer. Is this all digression or isn’t it digression? Again I don’t know. You, the listener, sit opposite me. But you are so silent. You don’t tell me anything. I am, at any rate, trying to get you to see what sort of life it was I led with Florence and what Florence was like. Well, she was bright; and she danced (19). Ford’s careful ear crafts these sentences to transform complex ideas into smooth narration that takes the reader deeper into the story’s characters and Dowell’s psyche. The line between authorial intrusion and the ability to invoke the reader directly by appealing to the reader, as listener, as part of the story is a difficult line to balance. Ford, nevertheless, never injects himself into the story, but allows the conflicted Dowell, who stays in character, to appeal to the reader. 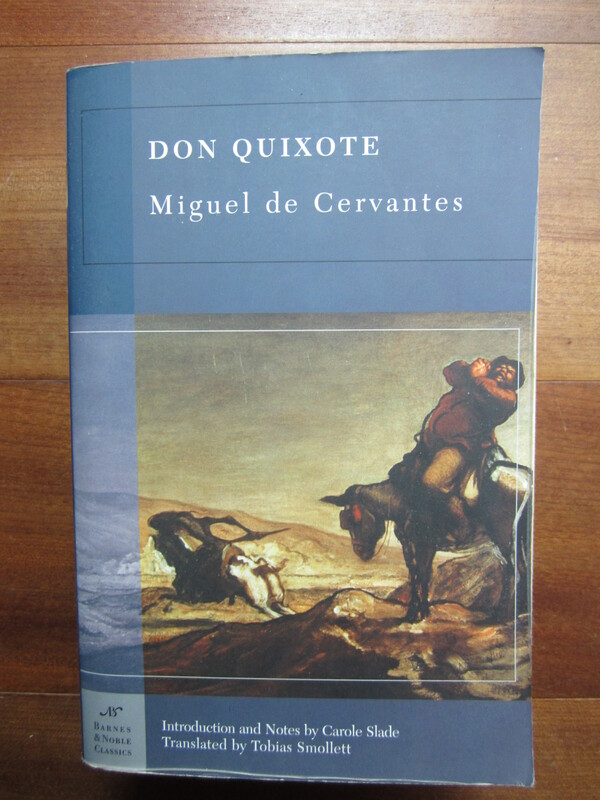 Granted, a character in a novel telling the reader, or audience, that he is telling them a story, usually from some place they had heard about or read about somewhere (e.g., “The Rhyme of the Ancient Mariner” by Coleridge; Don Quixote by Cervantes) is not unique; Ford, however, has his character who is directly involved with the events stay in the constant light of the narrative dream while he tells the reader the story directly versus being a messenger of such events by introducing them in the opening pages and then vanishing into the shadows; the latter method is often incorporated into live theatre. Dowell, though, maintains a continual presence throughout the act of storytelling and allows the fictitious events to appear fully formed. To achieve an original voice the author must not only understand how the story is to be told but must also consider what is told and why. Empathy, James N. Frey argues, is stronger than sympathy when attempting to achieve a fictive dream state in the reader and that the author must “create the story world in such a way that readers can put themselves in the character’s place” (12-13). Here were two noble people—for I am convinced that both Edward and Leonora had noble features—here, then, were two noble natures, drifting down life, like fireships afloat on a lagoon and causing miseries, heart-aches, agony of the mind and death. And they themselves steadily deteriorated. And why? For what purpose? To point what lesson? It is all darkness (137). Ford’s voice, so unlike most writers of his time, moves in and out of thoughts, tracing and retracing on themselves, as these two characters, Edward and Leonora, and their fate are forever connected with the narrator’s ignorance of what it all could possibly mean. The reader is carefully integrated into Dowell’s position, thereby achieving the fictive or narrative dream through sympathy and empathy. The girl, she said, smiled at her with a queer, far-away smile—as if she were a thousand years old, as if Leonora were a tiny child. ‘I knew you would come to that,’ she said, very slowly. ‘But we are not worth it—Edward and I’ (177). Poor devil—he hadn’t meant to speak of it. But I guess he just had to speak to somebody and I appeared to be like a woman or a solicitor. He talked all night (202). The words spoken in the dialogue are simple, to the point, and invoke a sense of how these characters are affected by their situation and the reader becomes naturally drawn in. Ford crafts his dialogues in such a way that the reader fully understands what is being told and why. And, yet, Ford, as creator, as writer never enters into the forefront of the story. Achieving an original voice in storytelling, as observed above, is no easy task. The writer must consider how the story is to be told and by whom. The writer must also question what is being told and why. Then the writer must further contemplate how to use these craft elements in order to induce a fictive dream in the reader. “The bard in training,” Nicholas Delbanco writes, “had to memorize long histories verbatim, saying or singing what others had sung. In the oral formulaic tradition, indeed, the whole point was retentiveness; the impulse toward individual expression is a recent and a possibly aberrant one in art” (46). The key, then, to achieving a unique voice that is in command of the fictive or narrative dream is to lose the author’s identity in the storytelling in order to have the reader retain through empathy what is being read. Delbanco, Nicholas. “From Echoes Emerge Original Voices.” Writers on Writing: Collected Essays from The New York Times. New York: Times Books, 2001. 43-48. Print. Ford, Madox Ford. The Good Soldier (1915). New York: Barnes & Noble Books, 2005. Print. 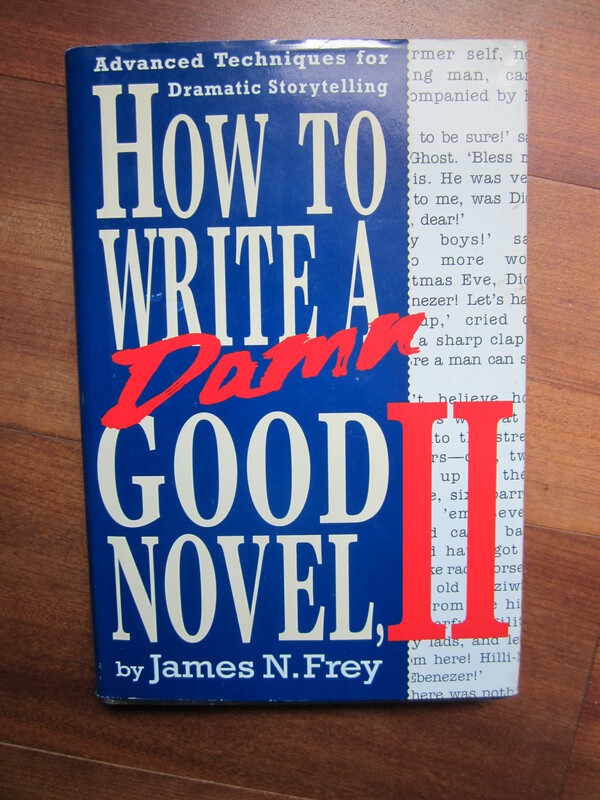 Frey, James N. How to Write a Damn Good Novel, II. New York: St. Martin’s Press, 1994. Print. Kermode, Frank. Introduction. The Good Soldier (1915). By Ford Madox Ford. New York: Barnes & Noble Books, 2005. xiii-xxxiii. Print. Strunk Jr., William, and E.B. White. The Elements of Style. 4th ed. New York: Longman, 2000. Print.